Learning A Better Way Of Shooting? Giving away too many points when you are shooing free throws ? Lack of Confidence in your shooting? Missing shots over and over again and not know how to get out of your slump? Trying hard to shoot well and it doesn’t work? You keep missing shots? Do you really know how to make a basket or a free throw and how to fix it on the spot? Up to now, you just shoot, but how are you able to make it go into the basket? I will teach you the science behind hand and eye coordination. 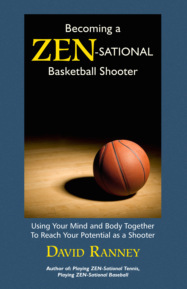 To read more about becoming a great basketball shooter, please go here.